Prime Minister to open an Aboriginal photographic exhibition at Parliament House, Canberra on Friday 13th Feburary 2009. at News Aboriginal Art Directory. View information about Prime Minister to open an Aboriginal photographic exhibition at Parliament House, Canberra on Friday 13th Feburary 2009. 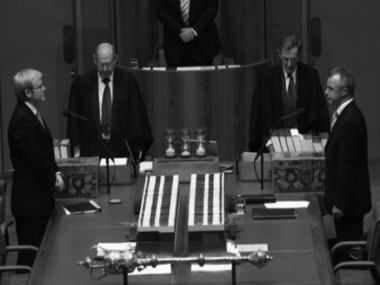 Tears of joy and sorrow flowed when Prime Minister Kevin Rudd created history by saying ‘Sorry’ on the floor of Parliament house nearly a year ago. 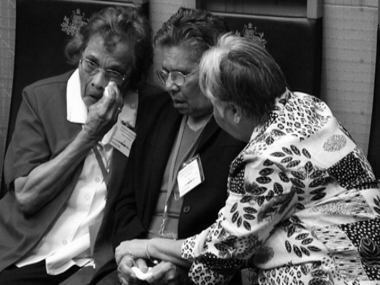 To mark the memorable moment Indigenous photographer Wayne Quilliam has been commissioned to curate an exhibition of photographs taken on the day. “It was an honour to be at the Apology and an even great honour to be asked to put together an exhibition of photographs that captured such a significant moment in time”, Wayne said. “This work is a reflection of peoples emotions representing the essence of the day which is why I titled it “Sorry” more than a word”,. 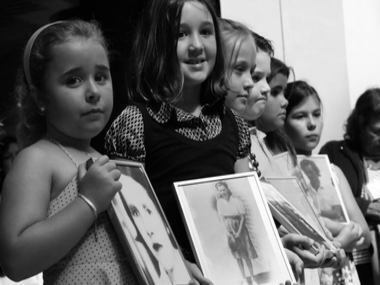 The majority of the images included in the exhibition were a part of the winning entry for the 2008 Human Rights Award for Print media, Wayne in partnership with the Koori Mail, won the award for the National Apology: commemorative lift out. Wayne Quilliam is one of Australia’s most prominent Aboriginal photographic artists with more than 100 solo and group exhibitions, 25 have been in the past 18 months in Germany, Austria, Vienna, Mexico, USA, China and several galleries in Melbourne, Sydney and Adelaide including his internationally succesful series ‘Lowanna’. Recent projects include working with the traditional people of Mexico and Bolivia, his work features on the BBC(UK), China, Taiwan and Australian Television.